I know I’m not the only one who’s endlessly striving for perfect skin. I spend ridiculous amounts of time researching products and staring at people on Instagram, wondering how their skin is so flawless. 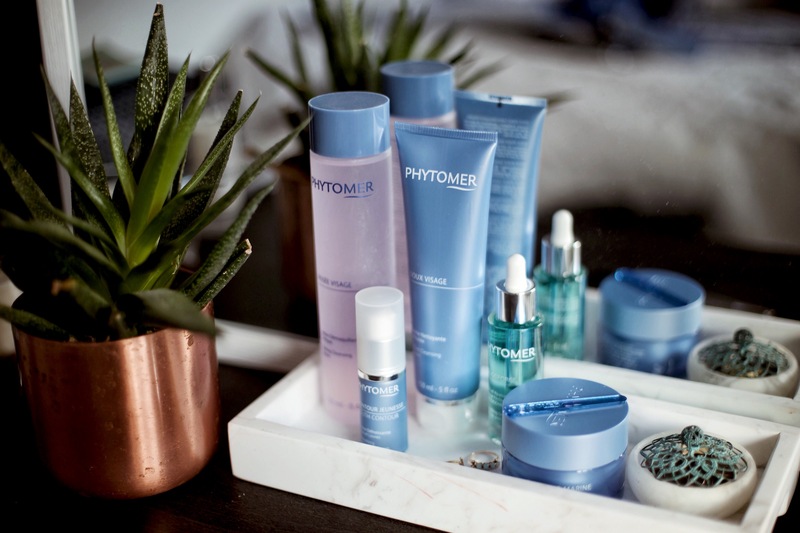 I recently started using Phytomer Skincare‘s range of products to help calm my skin and reduce redness. 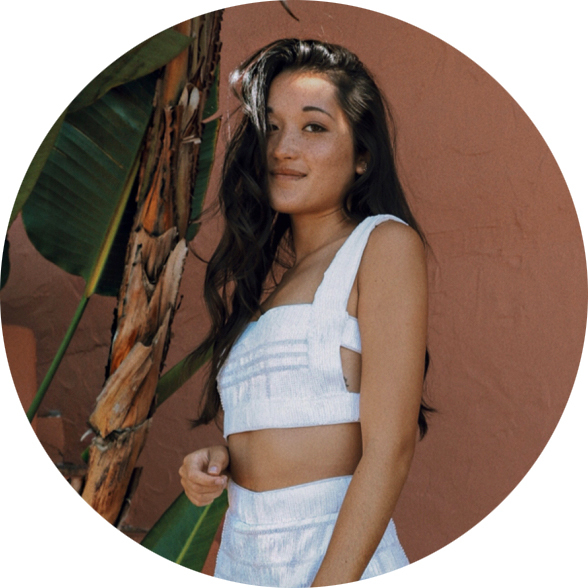 All of their products complement one another, so you really can’t go wrong mixing-and-matching to find the best products for your skin type. One of my favorite things about Phytomer is the way their products feel on my skin. I was always hesitant to splurge on higher-end skincare products, but with Phytomer, there’s a clear difference in the way it feels on my face. I’m also a sucker for fresh smelling beauty products. If I had to put a name to the Phytomer scent, I’d probably say it’s the closest thing you can get to what a “fresh ocean breeze” would smell like, aka, heaven. I love these products so much, I want you all to be able to try them. Be sure to use my code GYPSY20 for 20% off your Phytomer purchase at Le Spa. I start by washing off make up, dirt and oil using Phytomer’s Doux Visage Velvet Cleansing Cream. This face wash is super lightweight, non-drying and leaves my face smelling like a spa. If you don’t use a toner, you should. After washing your face, your skin is stripped clean and Ph levels are thrown off. Use a toner to re-balance your skin. I highly suggest investing in Phytomer’s Roseé Visage Toning Cleansing Lotion. It’s not a traditional lotion, like you might think. It’s a liquid rose water formula that helps to remove any residual make up, dirt or oil still left on your face while soothing and softening. My face is always incredibly soft after applying it. SERUM TIME! I always use serums in my nighttime routine because it’s truly the only way my skin seems to lock in moisture. The OligoForce Soothing Serum is perfect for all skin types, but works wonders for people like me who have sensitivity and redness issues. The best part about the serum is that it delivers trace amounts of minerals to prevent cellular fatigue. It’s basically magic. The second to last step is the oh-so-important eye cream. It’s really hard to look fresh and put together when there are massive dark circles under your eyes. Eye cream is the one thing I never second guess about splurging on, which makes Phytomer’s Youth Contour Anti-Wrinkles, Anti-Tiredness Eye and Lip Cream an obvious choice. This stuff is basically botox in a bottle. I apply this under and around my eye and mouth areas. If you didn’t know, the skin around the eyes is very similar to the skin around your mouth area. Apply your eye cream around your mouth, as well, to fight wrinkles. The last step is the one that really brings my skin back to life. The Phytomer Douceur Marine Velvety Soothing Cream is beyond dreamy. It melts into my skin in the most luxurious way possible and instantly restores a healthy glow. It also helps to lock in all of that product goodness applied prior to this step. Face serums might actually be the key to happiness, success, great skin, etc. Lots of people have the misconception that serums are oily and will clog your pores, but I can promise you that they always leave my skin feeling hydrated, clear and radiant. 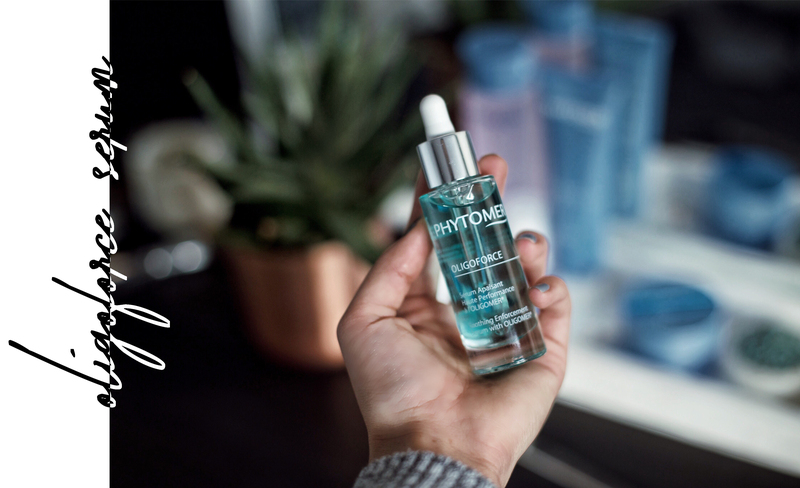 I’m extra obsessed with Phytomer’s Oligoforce Soothing Serum. Like I mentioned above, it has a super rich texture and works with my skin’s natural chemistry to soothe redness and intensely moisturize. This serum is the second-to-last step in my nightly skincare routine. Pro Tip: On days when my skin is extra dry, I mix this serum into my tinted moisturizer for extra hydration and redness reduction.